(a) To receive and investigate complaints from or concerning recipients of mental health services residing in licensed health or community care facilities regarding abuse, unreasonable denial or punitive withholding of rights guaranteed under the provisions of Division 5 (commencing with Section 5000 ). (b) To monitor mental health facilities, services and programs for compliance with statutory and regulatory patients' rights provisions. 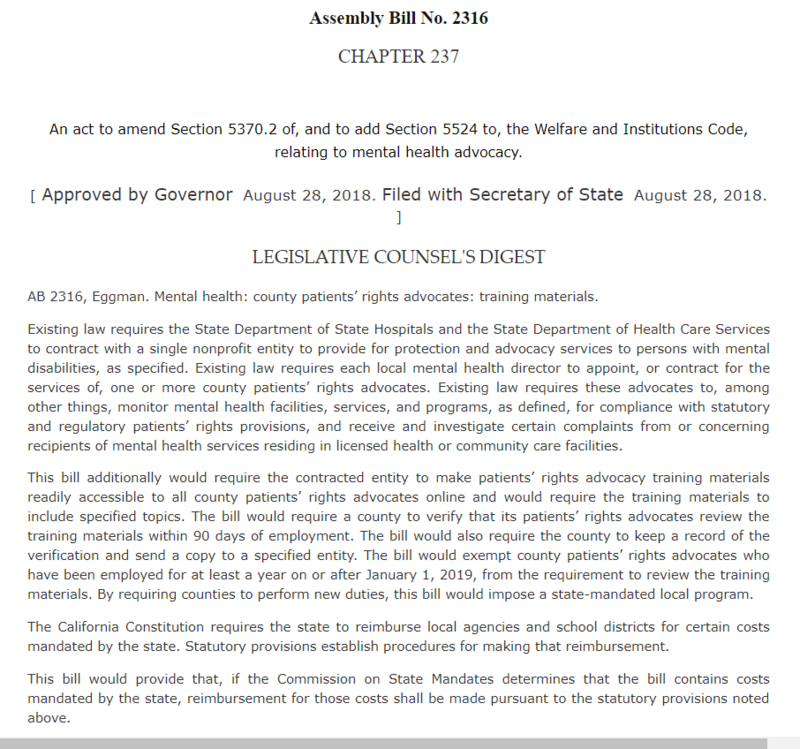 (c) To provide training and education about mental health law and patients' rights to mental health providers. (d) To ensure that recipients of mental health services in all licensed health and community care facilities are notified of their rights. (e) To exchange information and cooperate with the patients' rights program.